Whilst it is important to diligently protect your brand, the recent decision in Stone & Wood Group Pty Ltd v Intellectual Property Development Corporation Pty Ltd  FCA 820 (Pacific Ale Case) serves as a timely reminder that, much like the brewing of a delicious craft beer, making allegations of trade mark infringement requires extensive preparation, research and good judgment. In response to proceedings commenced against them by Stone & Wood Group, Thunder Road counter-claimed based on section 129(1) of the Trade Marks Act 1995 (Cth) (Act), which empowers a person threatened with an action for trade mark infringement to seek a declaration from the Court that the threats are “groundless” and consequently be restrained from making them. There are two (2) possible defences to a claim under section 129(1) of the Act. the acts complained of, in this case the threats of proceedings for trade mark infringement against Thunder Road, are in fact an infringement of that trade mark. In responding to Thunder Road’s counter-claim, Stone & Wood unsurprisingly sought to rely on both sections 129(4) and 129(5) of the Act. To rely on the section 129(4) defence, Stone & Wood needed to demonstrate that Thunder Road had infringed its registered trade mark. 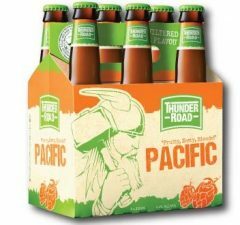 Stone & Wood contended that Thunder Road’s use of “Pacific Ale” (below) was deceptively similar to its own trade mark. 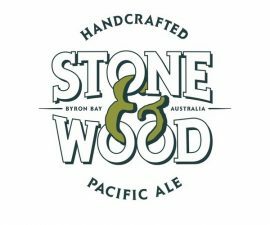 In short, the Court had to determine if a consumer would be likely to have been deceived into concluding that Thunder Road’s Pacific Ale was associated with Stone & Wood’s. The Court found at paragraph 229 of the judgement that this was not the case, and consequently, Stone & Wood was not successful in leading a section 129(4) defence. Paragraphs 235 to 237 of the Pacific Ale case cite Advanced Data Integration Pty Ltd v ADI Ltd  FCA 731 as authority that the section 129(5) defence, in particular the “due diligence” aspect, requires that the threatener, by reference to the circumstances of the case, not unreasonably delay bringing the threatened proceeding. the claim for trade mark infringement was not commenced (and was only commenced once Thunder Road brought its section 129 counter claim) until 19 June 2015. There was no satisfactory reason put forth to explain this delay, and consequently, the Court held at paragraph 241 of the judgement that Stone & Wood did not begin its action for trade mark infringement with due diligence. ensure that your intellectual property portfolio, especially your registered trade marks, provide the level of protection you require to protect your brand. Is the use of a trade marks in AdWords and infringement? Can you infringe a trade mark by exporting a product? If you need assistance with trade mark infringement please telephone me for an obligation free and confidential discussion.